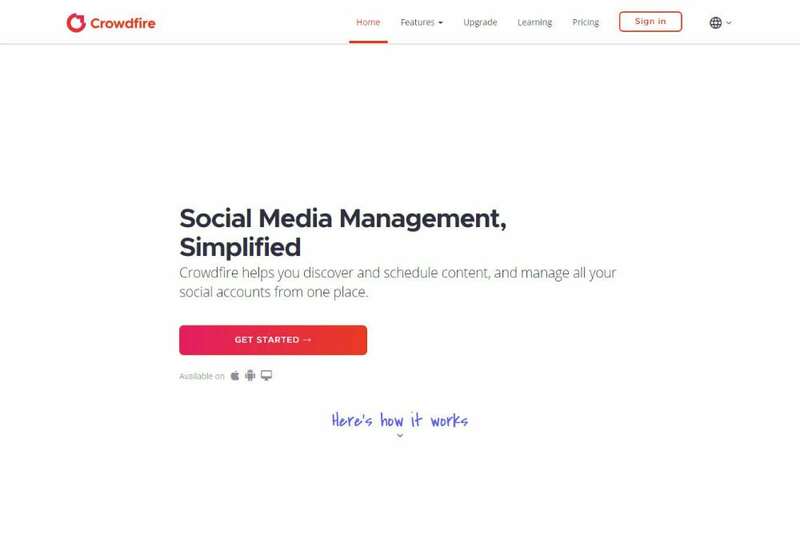 Crowdfire markets itself as the only “social media manager” you will need. To achieve the claim, it provides the ability to schedule and discover content from one place. It comes with all the bells and whistles that you would want from a social media management tool. For example, it will let you find related content based on interest, publish content on sites and blogs and do scheduling. You also get tailored posts related to every social network you are working with. Check out more features in the feature-section below. 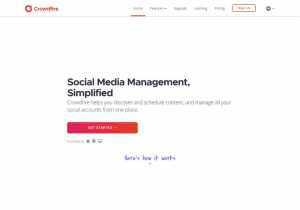 Manage social networks the way you want. Support is provided through email. The priority of the support depends on the plan you are using. Free: 10 scheduled posts per account, Supports four social networks and one linked account per social network. Plus: $9.99/mo.($7.48/mo. If bought annually,) 100 scheduled posts per account, supports five social networks and two linked account per social network. VIP: $99.99/mo.($74.98/mo. If bought annually), everything that the Premium plan has to offer plus 20 accounts per social network. VIP also provides priority support.